You look down into the toilet bowl and you see black poop staring back at you. This is not what you expect to see. You start to worry. You think why is my poop black ? Poop is supposed to be brown right ? What does it mean when your poop is black ? It is true that a black bowel movement can be a warning that you are bleeding inside your intestines but before you get too alarmed think back over the last few days and look for other things that could have caused this change in color. There are many things that can change the color of your poop and lots of them cause the black color that you are now seeing. When you have black poop or black poo as Brits call it but it is not caused by bleeding this is called false melena. Real melena is the black, tarry, sticky diarrhea that you see when bleeding is happening high up in your gut. By the time the blood has reached the outside it has been changed by the action of enzymes from red to black. False melena which is dark poop caused by other things is nothing to worry about. Most black feces are caused by things we have eaten so think carefully about your diet in the last few days. Has it included any of these things? Have You Eaten One of These Black Poop Causing Foods? 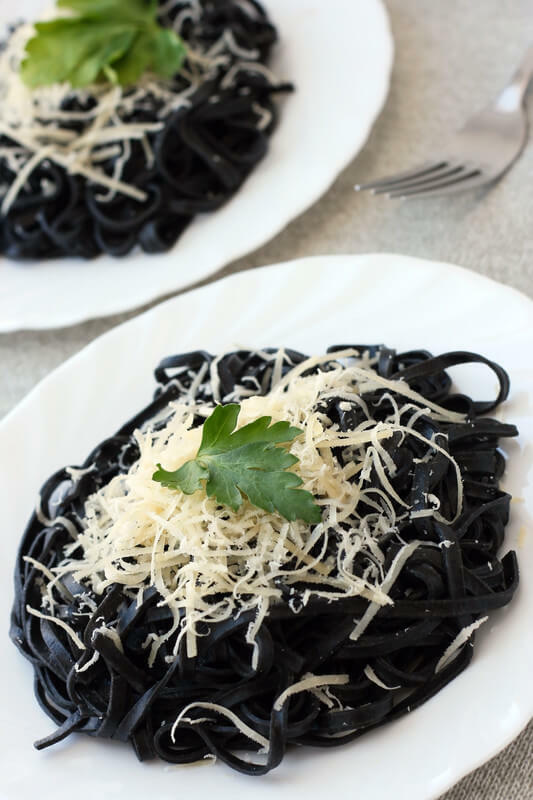 The use of squid ink in cooking is usually linked with Italian cuisine. Such dishes as ink risotto or pasta dishes are part of their tradition but more and more it is being used in other inventive ways such as in bread. If you have eaten this ingredient then it will easily turn your feces black. 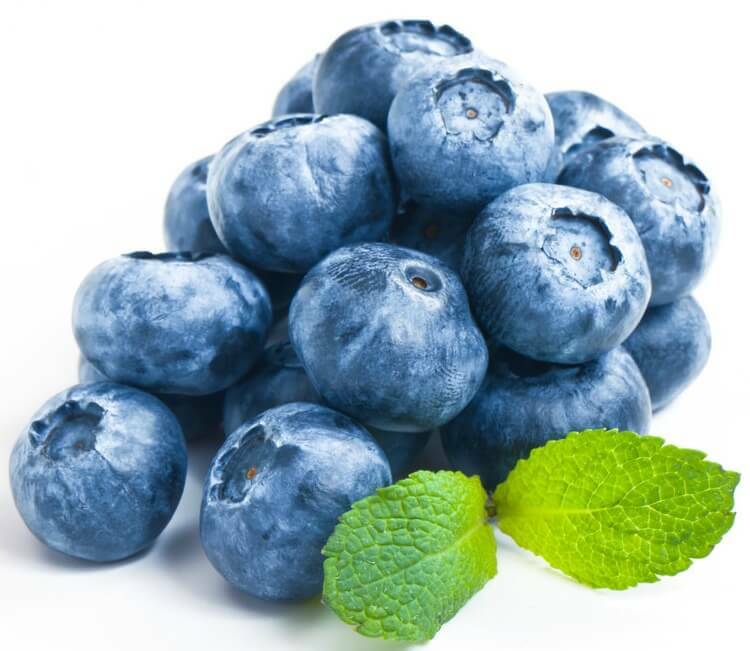 Blueberries are not only delicious but they have been hailed as a super-food. I am not sure if I believe in super-foods but they are certainly good for you, however, they can cause the black color you are worried about. In many parts of the world sausages made from blood are a popular foodstuff. 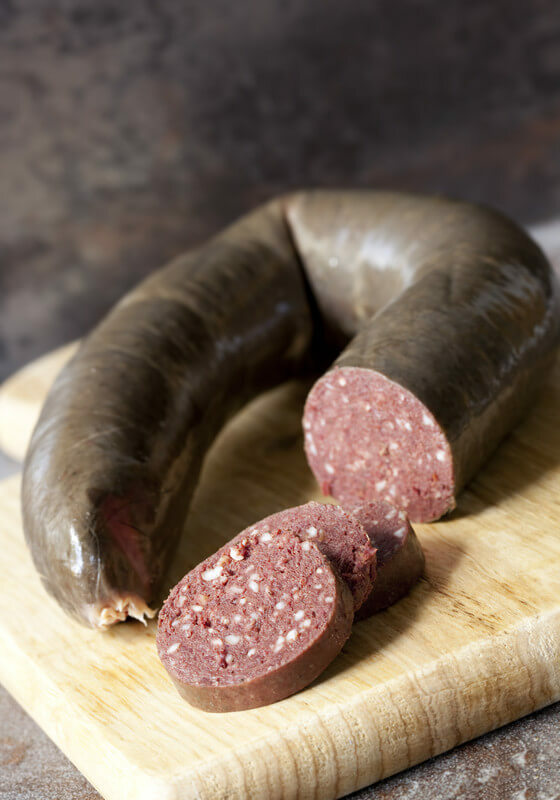 My husband for example grew up eating black pudding every day with his breakfast. Other dishes which include blood like dinuguan will also cause black poop. 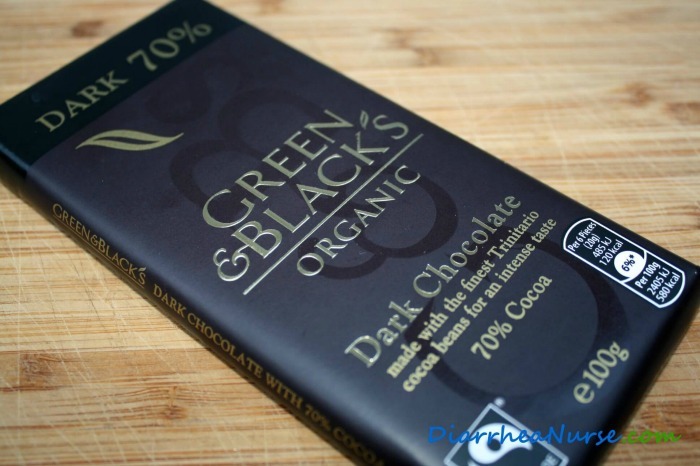 This is my favorite everyday dark chocolate. You would have to eat quite a lot to make your poop black but this can happen especially with things like dark chocolate cookies. 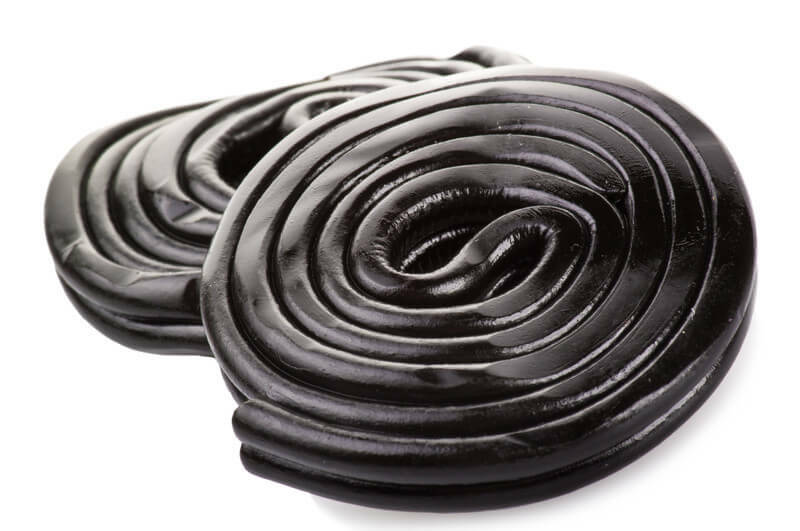 Black liquorice is something that I remember mostly eating as a child but many people continue to have a taste for it. Any food coloring can change the color of your poop. 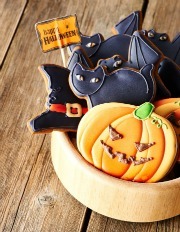 These days novelty cakes and cookies are very popular but they often use food coloring and black is a popular color for Halloween. We have covered most of the foods that can cause you to have black poop but there may be other things. Drinking Guinness or other dark stout beers will usually give you black stools for example. If you have eaten anything that is black or dark in color and you have no other symptoms and do not feel ill then this is most likely the cause of your black poop and you do not need to worry but do make sure that the color goes back to normal. This will take from a day to several days if you do not have bowel movements very often. How quickly your poop takes to return to its normal color is individual because it depends how much of the black causing food or medication you have taken and also how fast your gut transit time is (the time it takes for food to get from the mouth to the exit). This varies from person to person. If you have black diarrhea however you should seek medical help. Certain medications can give you black poop. The main one is anything containing iron. If you are taking iron supplements or even multivitamins containing iron then this could be the culprit. If you have no other symptoms and your stools are well formed then you should not worry. I have been asked if chyawanprash can cause black feces. Chyawanprash is a dietary supplement which is widely consumed in India. It does not normally cause black poop but some formulations have added iron which can have this effect. So check the label for ingredients carefully. Peptol-Bismol is a medicine which is used for the relief of heartburn, indigestion, diarrhea and upset stomach. It can cause you to have black feces. If you have been taking this medication then it could simply be that it alone has caused you to have black poop but you have to be careful because if you have black diarrhea then this could show that you are seriously ill.
You could have true melena caused by bleeding in your gastro-intestinal tract and you should seek medical advice quickly. Have you got Bleeding from the Nose or Mouth? If you have experienced a nose bleed or bleeding in the mouth then the blood could be swallowed and will eventually make it's way out in your stool. This will also look black like other sources of blood but because you have swallowed the blood in most cases it is not something to worry about unless of course you have a bad facial injury! Lead poisoning will result in black colored stools. It may seem unlikely in this day and age that you will be exposed to lead but there have been cases even recently of employees being exposed to lead in the workplace. Be careful when dealing with old paint which often contains lead and is particularly hazardous for young children who may ingest it. Is My Black Poop Due to Bleeding? Although as we have seen there are many things which cause black poop which are nothing to worry about, sometimes you should worry and it could even be a medical emergency. Black colored bowel movements can indicate that you are bleeding from the intestinal tract. If you have not eaten any black causing foods or taken any black causing medications then this could be happening to you. If you have pain then you should get medical help urgently. If you have black diarrhea which looks similar to tar then this indicates you are bleeding and you should go to ER. Other symptoms which could indicate that you are bleeding (see below) mean you should seek medical help as a matter of urgency. DiarrheaNurse hopes that you have found the answer to your query about black poop and that you are reassured but if you feel ill then please seek medical attention quickly. Black Stool - Should I Be Worried? White Poop - When to Call the Doctor.